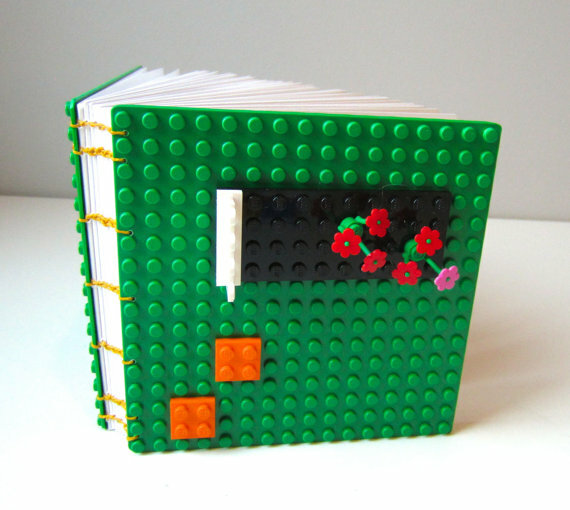 Legos have taken over everything, and when I was doing research about where to recycle them, I also came upon some awesome Etsy stuff. So I thought I should share the coolness! DaRosa (Canada) makes drawer knobs out of recycled duplos. I love this. 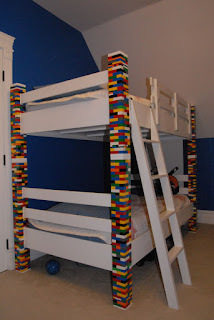 What a cool way to decorate a playroom or lego-lover's bedroom, and you are reusing plastic. 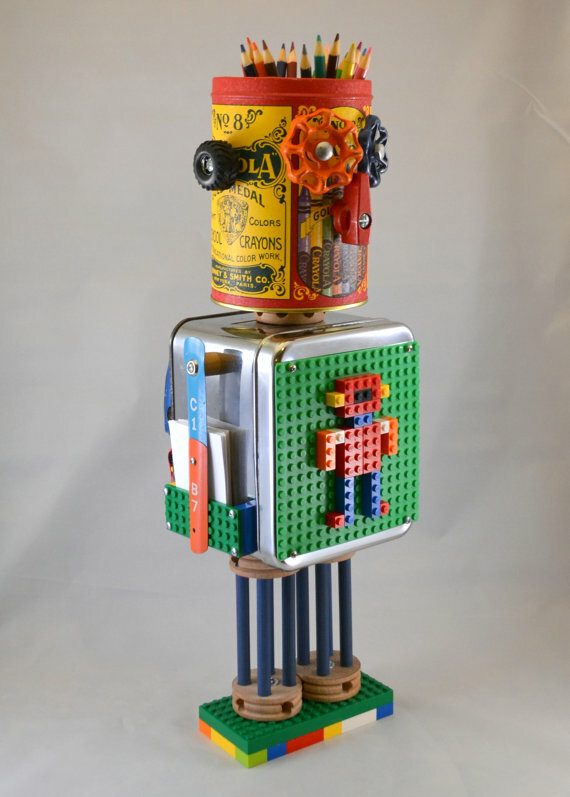 Remnants by RJ (Kansas) makes these spectacular toys (some known as "Toy Bots" out of recycled vintage toys and legos. These are so neat. What a strange and wonderful world. It might be cool to design a nursery around one of these. 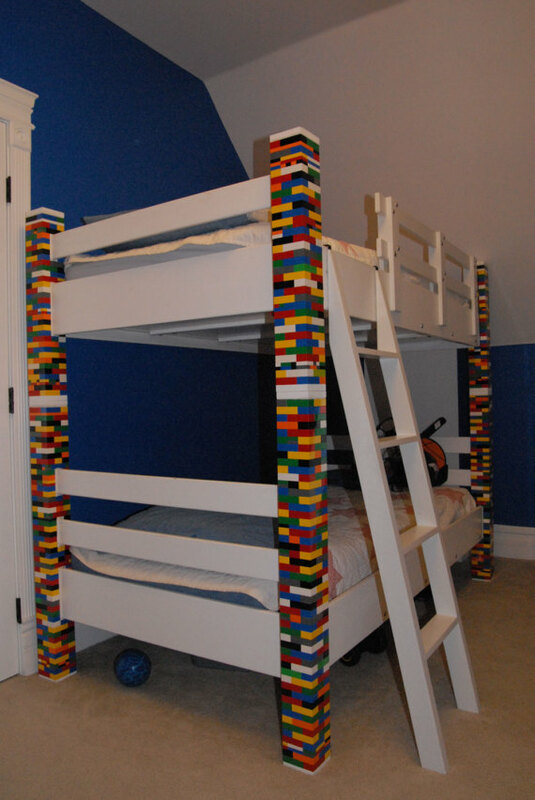 Head Manufacturing sells one item on Etsy- these lego-posted bunk beds. 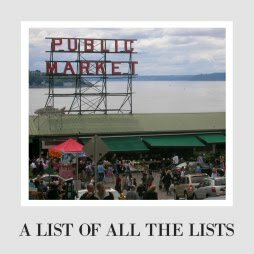 So cool, and though I am not sure I would buy from a shop like this that is barely a shop, I couldn't let the chance to share it with you pass by. moonlightbindery (Virginia) sells these awesome notebooks with upcycled covers that you can decorate yourself with legos! 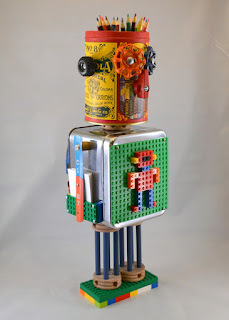 I think these could make a fun gift for a kid with an active imagination or an adult with a serious case of toy nostalgia. Either way, so fun. BareSockcrafts (California) makes one of the weirdest things I have ever seen on Etsy- lego rosaries. 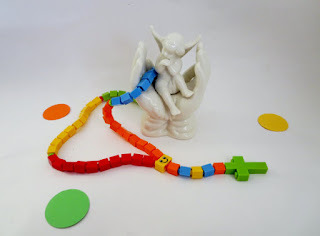 You wouldn't think of such a sacred prayer tool being made of toys, but when you think of a first communion or getting a child started on a personal spiritual journey, I guess it could make sense? 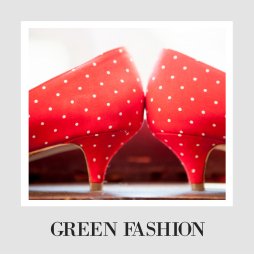 Start with something familiar and not so lofty it feels inaccessible. 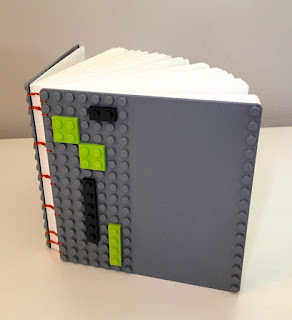 A unique idea, and the more I think about it, the more I like it. 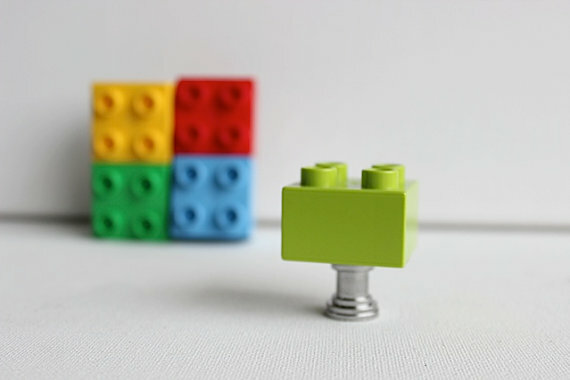 Plus, you just can't fight with recycled legos.